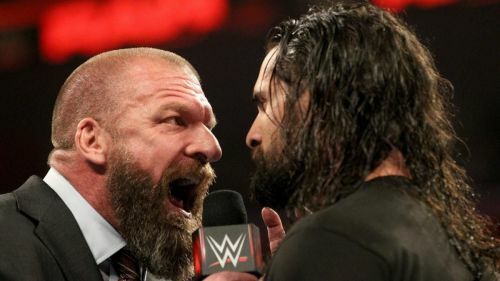 This week's New Year's Eve edition of WWE Monday Night RAW (31st December 2018) saw a lot of contrasting moments from Dean Ambrose defending his Intercontinental Championship to Drew McIntyre and Dolph Ziggler slugging it out in a Steel cage match. The whole episode was minimal on major plot progressions and felt more like a decent house show. 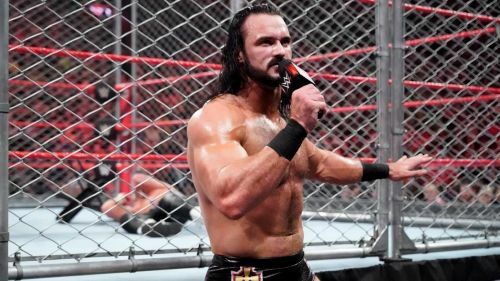 #3 Is Drew McIntyre going to be WWE's biggest wildcard in 2019? Last night's show opened with Drew McIntyre facing Dolph Ziggler in a one-on-one contest inside the Steel Cage structure. If fans had doubts regarding whether or not their rivalry is over, then this particular match indicates that Drew McIntyre has moved past Dolph Ziggler already. McIntyre obliterated his former tag team partner several times and even made a statement regarding how he will be aiming for the Universal Title after winning the Royal Rumble match. Even if this shows that Dolph Ziggler's current arc might be over, we also have to remember that Finn Balor was watching this match backstage. Does McIntyre have to go through one more superstar before setting his sights for the ultimate prize RAW has to offer? Will Finn Balor overcome the odds by stopping Drew McIntyre's current momentum? Where does this leave Dolph Ziggler? Either way, all hints seem to be pointing towards the fact that Drew McIntyre might be the biggest wildcard of 2019. We may never know what to expect from the Scottish Psychopath, and before the WWE Universe realizes, Drew McIntyre could very well be our new Universal Champion.